Thursday 15 March – Monday 9 April with a Live Cinema Screening Tuesday 27 March. Leonard Bernstein achieved popular and critical acclaim across musical genres. 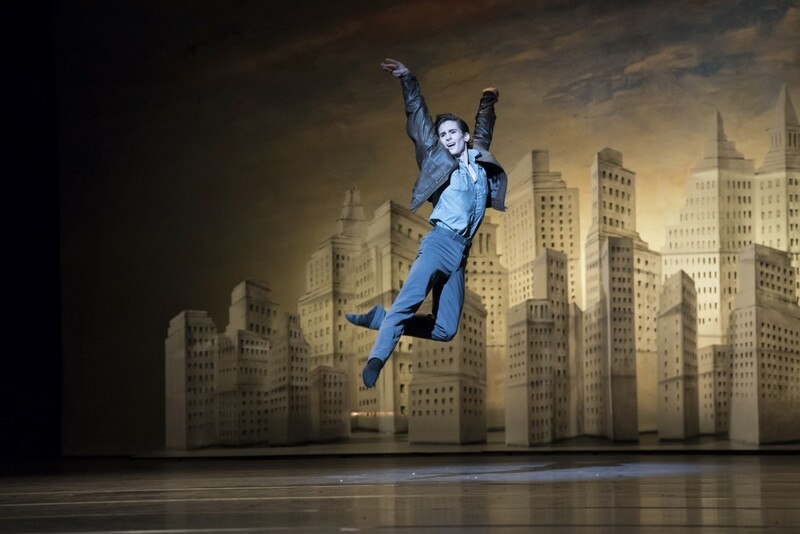 To celebrate the centenary of his birth and as part of the global ‘Leonard Bernstein at 100’ celebrations, The Royal Ballet presents a mixed programme featuring all three Company choreographers, Wayne McGregor, Christopher Wheeldon and Liam Scarlett, united in a programme of world premieres and recent work. Renowned for his creative collaborations, Resident Choreographer Wayne McGregor’s new ballet, Yugen, features designs by artist- ceramist Edmund de Waal, lighting by long-term collaborator Lucy Carter and costumes by fashion designer Shirin Guild. Set to Bernstein’s Chichester Psalms, the ballet is a company-wide piece featuring Principals, Soloists and Artists of The Company. Yugen is a co-production with Dutch National Ballet. Chichester Psalms was commissioned in 1965 for the Southern Cathedral Festival at Chichester Cathedral. The piece blends Biblical Hebrew verse and Christian choral tradition, a musical depiction of the composer’s hopes for brotherhood and peace. The mixed programme also includes Corybantic Games, a new ballet by Christopher Wheeldon with costumes by fashion designer Erdem Moralıoğlu, set design by Jean-Marc Puissant and lighting design by Peter Mumford. It is set to Bernstein’s Serenade, after Plato: Symposium, a violin concerto written in 1954, which draws inspiration from Plato’s Symposium, a dialogue between a group of notable men in praise of love. The programme includes the first revival of Liam Scarlett’s The Age of Anxiety which premiered in 2014. John Macfarlane’s set designs and Jennifer Tipton’s lighting recreate an evocative Manhattan of the 1940s, where four strangers meet in a bar beginning an evening of unexpected events. The ballet is set to Bernstein’s Symphony no.2, The Age of Anxiety, inspired by W.H. Auden’s epic poem of the same name, written in response to the disillusionment that followed the Second World War.